Recently shot this for a Filmmaker friend of mine Scott Scheirich. He just finished a short called "Determined" based on the true story of a woman named Melissa McCormick. 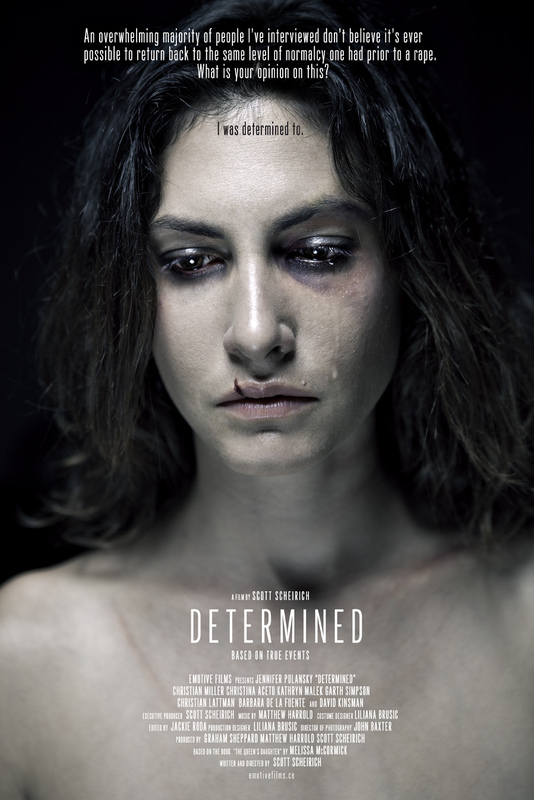 We created the films' poster with this first image and then decided to do a before and after concept piece polarizing the emotional journey of a woman looking for psychological stability and fighting to find her center again. 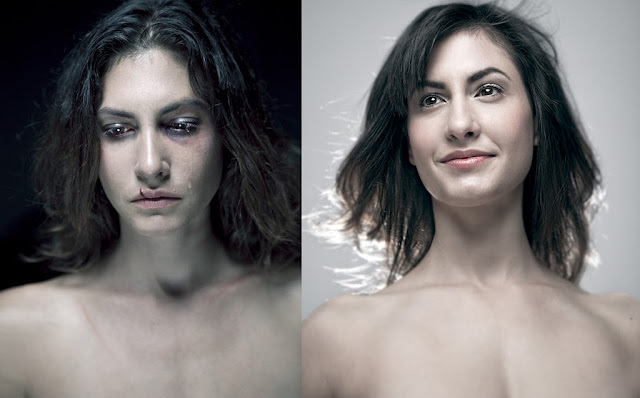 Makeup Artist Lyz Plant did a beautiful job on recreating the scratches and bruises with impeccable reality. Actor Jennifer Polansky was able to produce tears on command with a gentleness I've never seen before. Click on the before/after image to see a larger version. P.s. There's a new assistant in town Thomas Dagg. He came out to help on the beauty shoot and introduce himself. Hire him, he's a great!